RICHMOND, Va. (CNS) — Virginia Gov. Terry McAuliffe has again “demonstrated his unwavering commitment to the nation’s largest abortion provider” by vetoing a bill that would have defunded Planned Parenthood, said the state’s Catholic conference. They said his action comes at the “expense of comprehensive health care for women” because the defunding measure would have redirected state dollars to community health centers that provide primary care to women and their families. The comments came in a statement issued Feb. 21 by the Virginia Catholic Conference, the public policy arm of the state’s bishops. Earlier that day when McAuliffe vetoed the bill, known as H.B. 2264, Planned Parenthood and its supporters held a veto ceremony on the steps of the governor’s mansion in Richmond. He vetoed a defunding measure last year as well. “Attempts to restrict women’s access to health care will impede the goal of making Virginia the best place to live, work, and run a business,” he said in a statement. 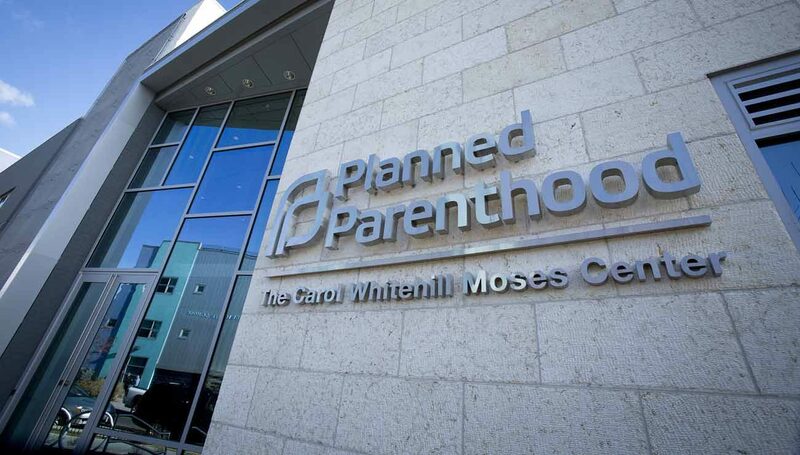 It noted that despite the fact most Americans do not want their tax dollars “to pay for other people’s abortions,” Planned Parenthood said it receives $553.7 million annually in government health service grants and reimbursements. “The Virginia Catholic Conference upholds the timeless truth that every human being, born and unborn, has an equal right to life … (and) finds Gov. McAuliffe’s pride in protecting an organization that destroys life and harms women and their families deeply offensive,” it said. Defunding Planned Parenthood was the focus of rallies held around the country Feb. 11. More than 15,000 people attended 229 rallies held in 45 states. In some cities, crowds numbered as high as 600. In a statement after one such rally in Albany, New York, Bishop Edward B. Scharfenberger strongly echoed the call to defund Planned Parenthood. The Catholic Church “clearly teaches the objective truth that abortion is a grave moral evil, and that material cooperation in abortion is a mortal sin,” he said. “When individuals, particularly those in political office, gloss over or ignore the core issue of whether or not taxpayers should be funding the world’s largest abortion business by citing Planned Parenthood’s other services, they are engaging in obfuscation that is, at best, confused and, at worst, dishonest,” he said. In his statement, Bishop Scharfenberger did not name the three politicians at the pro-Planned Parenthood rally in Albany. But the Times Union daily newspaper reported that rally speakers included U.S. Rep. Paul Tonko, state Assemblywoman Patricia Fahy and Albany Mayor Kathy Sheehan, all of whom are Democrats and Catholics. What a shame that McAuliffe had such a great opportunity and can’t see the forest for the trees.